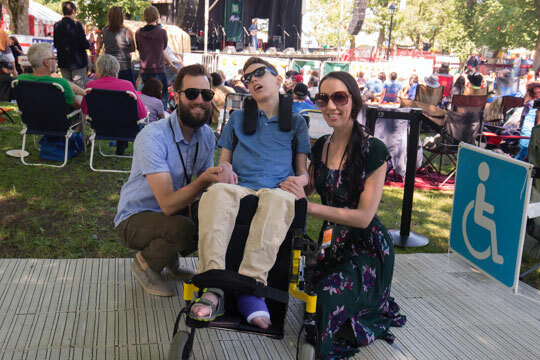 Organizers of the Newfoundland & Labrador Folk Festival are pleased to continue working towards making our annual event more inclusive and accessible to all patrons. This is our fourth year with a dedicated Inclusion Crew, and our accessibility options have improved as a result. We are proudly partnering with InclusionNL again this year and sincerely thank them for their efforts! Their advice and support is greatly appreciated. We’ve built on our features over the years. We have appreciated the positive feedback we’ve received from you, our festival-goers. In saying that, please feel free to contact us with any additional questions or comments, or suggestions about what would make it possible for you to enjoy this year’s Newfoundland & Labrador Folk Festival in Bannerman Park. accessible to persons with partial hearing impairment to total hearing loss. 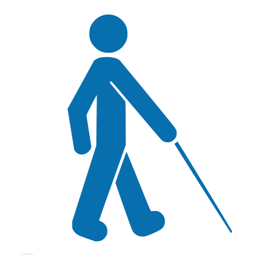 accessible to persons with partial sight impairment to total blindness. Inclusion Crew volunteers – In addition to the general team of Folk Festival volunteers (all whom are offered inclusion sensitivity training in advance of the festival), our Inclusion Crew will be happy to assist in any way they can to help you to access and enjoy all aspects of the Festival. The Inclusion Crew will be located at the main entrance. Designated accessible blue zone parking spots in the Bannerman Park parking lot with provincially-issued Blue Zone parking passes. Free entrance to attendant (with City-issued attendant’s pass) accompanied by a ticket-holder. 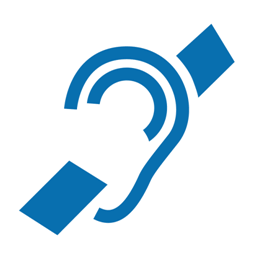 Listening devices – The Canadian Hard of Hearing Association has loaned the Festival listening devices. Please contact office@nlfolk.com to reserve your device for a particular day/session, in order to ensure that we have enough for everyone who needs one. 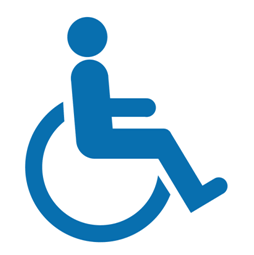 Spare wheelchairs – We have tried our best to make the festival site wheelchair-friendlyand are pleased to offer spare wheelchairs for short-term loan. Designated blue zones in the audience - provide easy access for persons with a mobility disability. Accessible portable washrooms throughout the park. Quiet zone – We are pleased to once again offer a safe space for people who may be feeling overwhelmed to sit out of the sun, away from the crowds. This space is conveniently located in the same space as the Inclusion Tent. Again, this year we are pleased to have our accessibility evaluation from Access Advisor, which validates accessibility according to four levels, Partial or Full Accessibility, Hearing Accessible and Sight Accessible. An Access Advisor designation indicates that an organization has had an onsite evaluation and has met all criteria related to a specific designation. The Festival site is evaluated prior to opening and we often achieve a Full Accessibility as well as Hearing and Sight Accessibility Designations!